PetConnect Rescue is excited to announce our membership with the BISSELL Pet Foundation. In 2011, the foundation was established by Cathy Bissell, an animal lover and advocate who recognized the overwhelming need to save America’s homeless animals. Cathy and her sister created LostPetUSA.net, which is a free website that offers resources to help pet owners reunite with their lost pets. She was also instrumental in the creation of BISSELL’s Partners for Pets program. 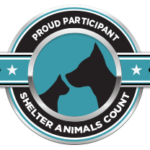 It is designed to assist shelters and rescue organizations, such as PetConnect Rescue, in raising funds to address the ever-present need to aid in animal welfare efforts across the United States. The foundation provides grant funds to organizations who help homeless animals by proving pet adoption and foster care services, spaying/neutering, microchipping, and emergency response. For more information about the BISSELL Pet Foundation, please follow the link here.